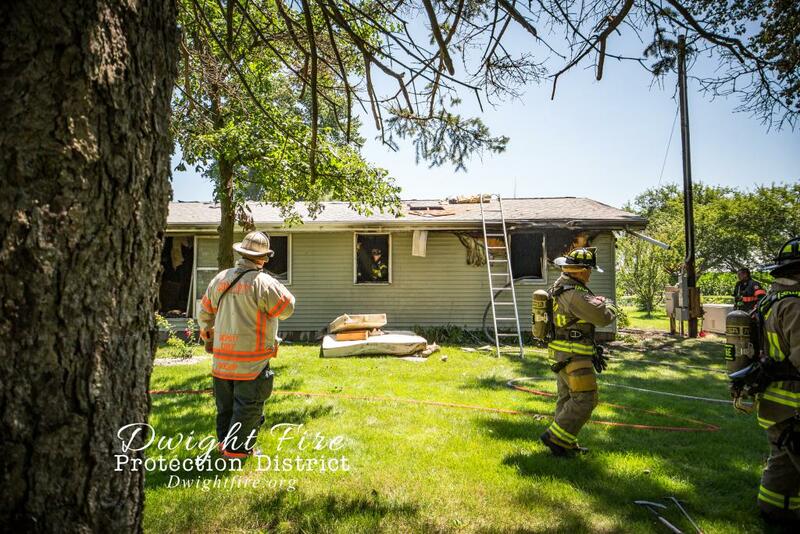 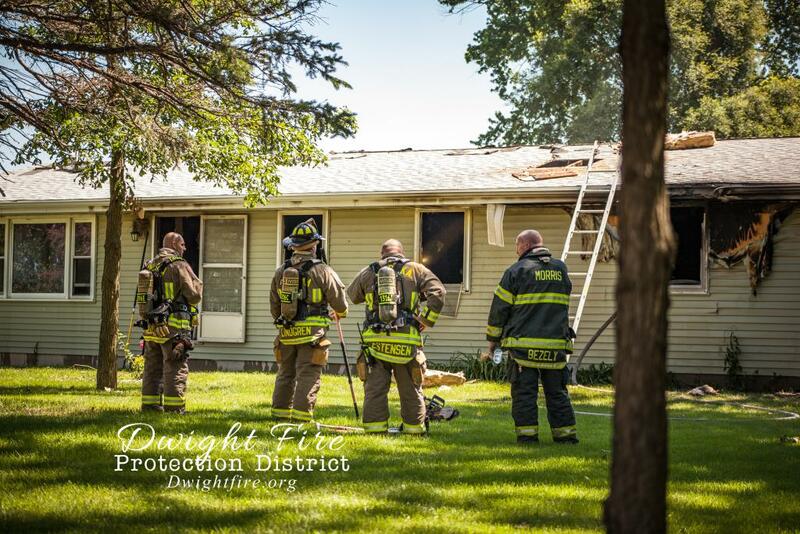 At 11:00 am on Sunday, June 24th, the Mazon-Verona-Kinsman Fire Protection District requested an Engine and Chief from the Dwight Fire Protection District for a house fire located at 7680 S Buffalo Rd (South of Verona). 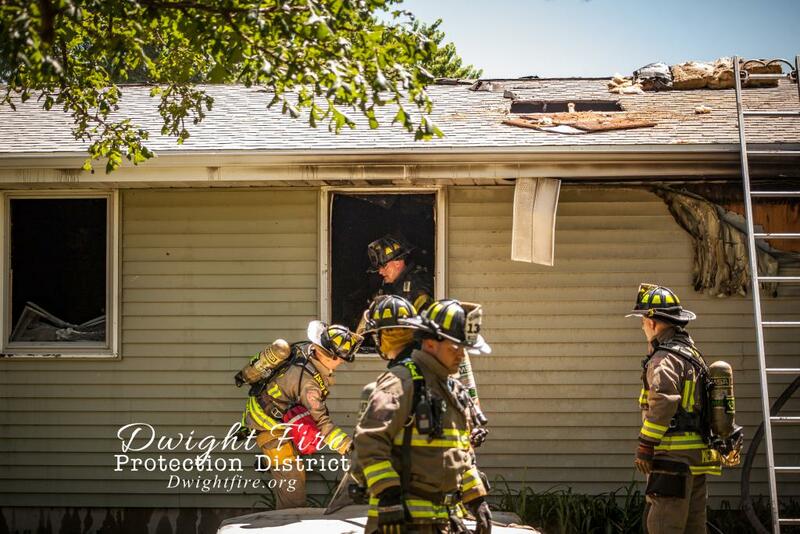 Engine 1812 and 1806 arrived and were immediately assigned to interior search and fire attack. 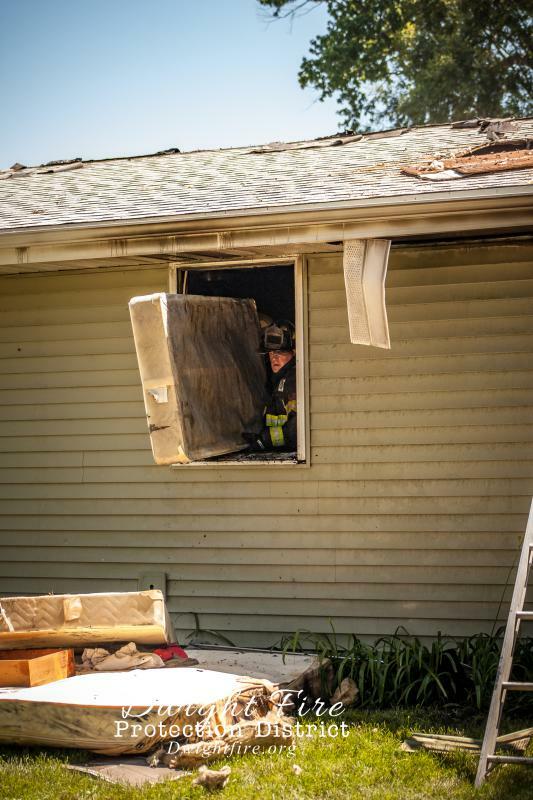 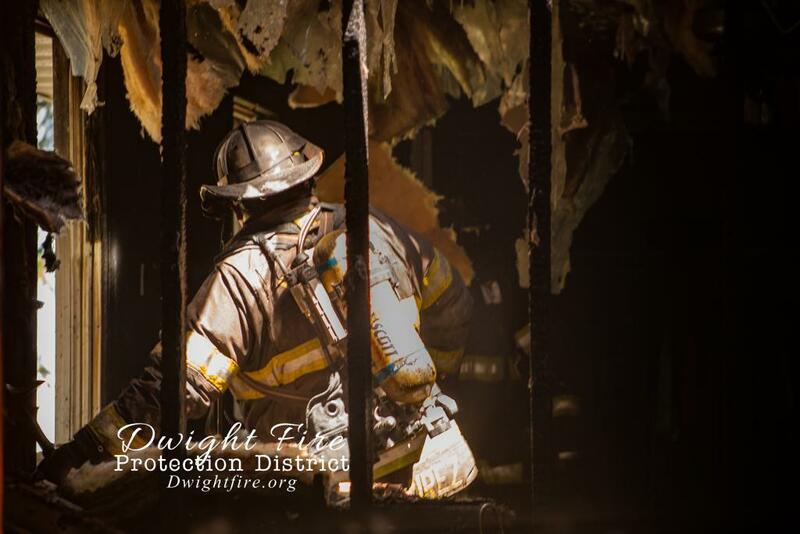 While conducting overhaul and secondary searches, Dwight firefighters located two dogs huddled under a bed in one of the rooms in the fire area. 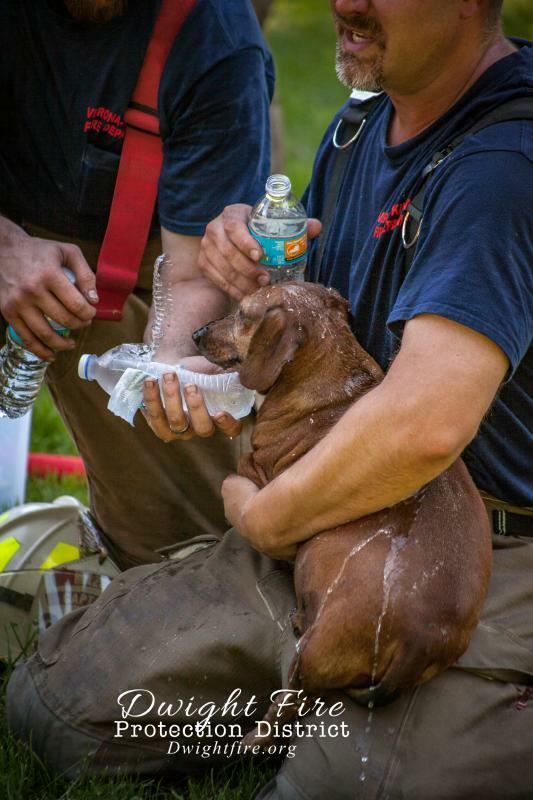 Both dogs were handed off to firefighters on the exterior, and immediate care was initiated in an attempt to revive them. 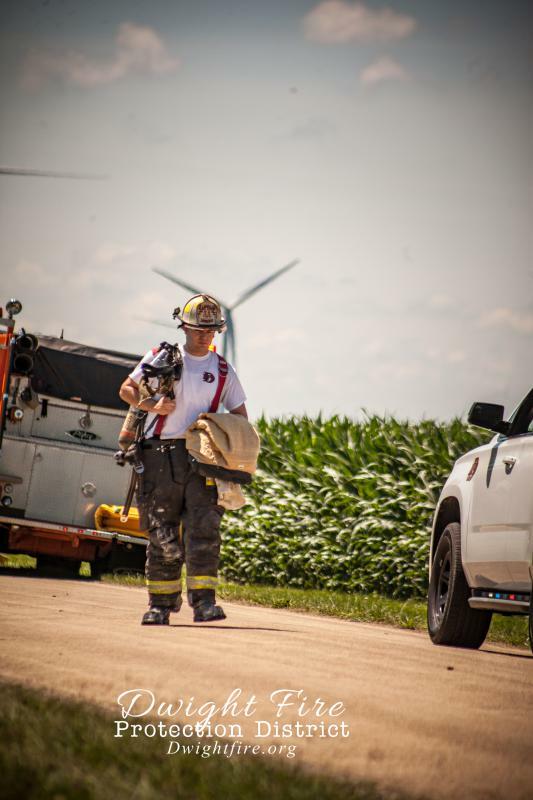 One dog regained consciousness at the scene, but unfortunately, the second dog succumbed to injuries. 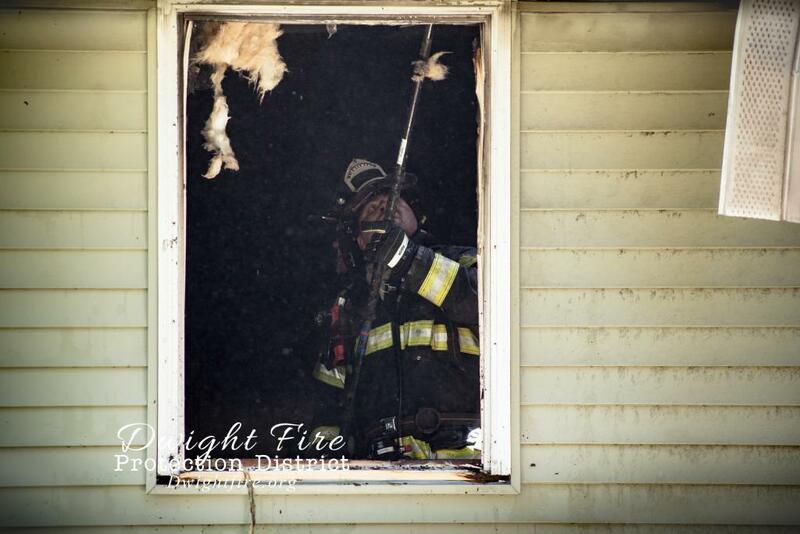 Engine 1812 and 1806 operated for approximately 35 minutes.